The Elder Scrolls: Legends | Choose your side. The Elder Scrolls: Legends - Alliance War is live! Choose your side. The Elder Scrolls: Legends - Alliance War is live! The time for waiting is over! 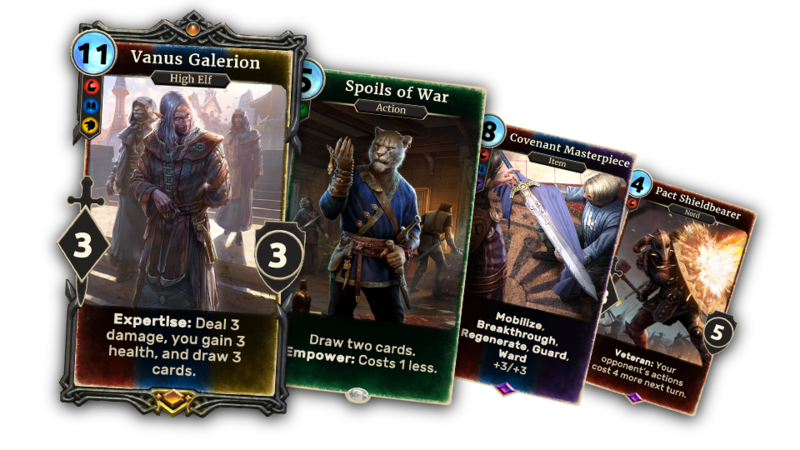 Alliance War, The Elder Scrolls: Legends‘ latest expansion, is now available! Tumultuous times have come to the land of Tamriel. Five powerful factions have done away with their treaties and broken out into a full-scale conflict for the future of the continent. When the dust finally settles, however, only one can sit atop the Ruby Throne...will it be you? All-new playmat, visual effects and music tracks – now live in the game! As you can see, we’ve got a lot of work ahead of us! 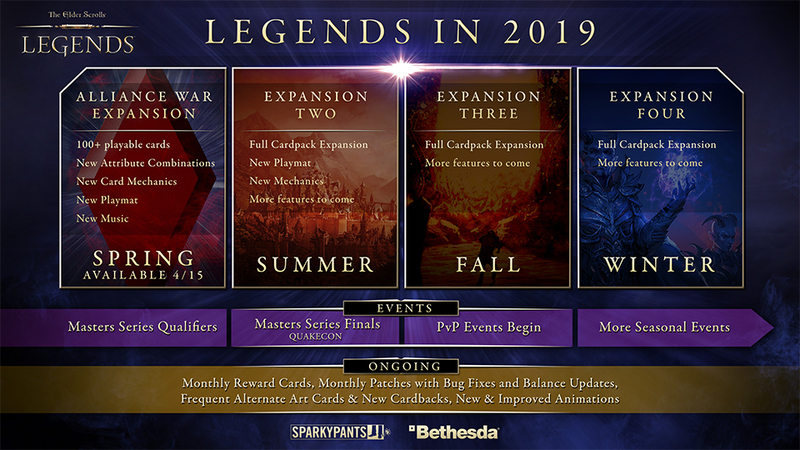 Be sure to follow The Elder Scrolls: Legends on Twitter, Facebook and Twitch for the latest and greatest in store for the game. Until then, may you find glory fighting alongside your chosen factions in the Alliance War!